We’re stepping up our fundraising efforts. We have a big goal and we need your help! 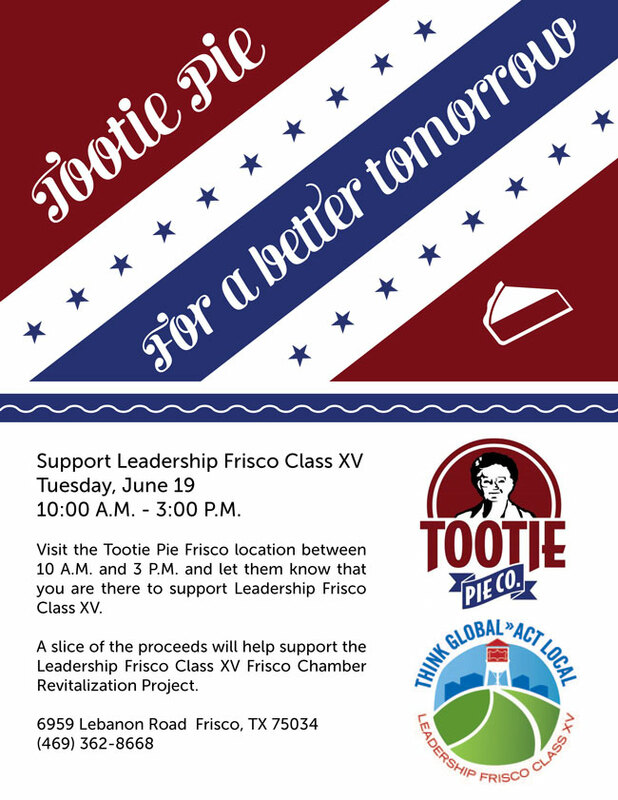 Our first fundraiser comes courtesy of Tootie Pies. Have you been there? If you have, I know you’ll agree that they are delicious! If not, what a better time to try them and you can help Leadership Frisco while enjoying a delicious meal or slice of pie! Thank-you Tootie Pies, for helping launch our fundraising efforts! 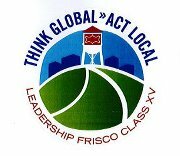 Welcome to the website of Leadership Frisco Class XV. Here, you’ll be kept up to date with the latest information about our Class Project. We’re excited to share this project with you and we think, once you hear about it, you’ll be excited too. Please pardon our dust as we get this site up and running. Be sure to check back soon for updates on our project. In the meantime, here’s a peak at our class logo. Look familiar?